It is no secret that mango is a juicy and amazingly delicious fruit. It is awesome to know that this mouth watering fruit is currently in season. Many believe that an apple a day keeps the doctor away...but did you know that a mango a day literally keeps the doctors and diseases/sicknesses and many other things away? Because of this, it is now popularly called the King of fruits. 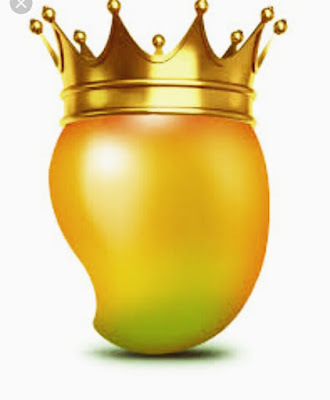 There are powerful and also amazing reasons why this fruit is known as the King of fruits. Let's see these reasons together, shall we? 1) All anti-oxidats compounds are found in mangoes. This helps protect one from all forms of cancer. 2) Did you know that mangoes helps improve one's eye sight? With mangoes be ready to kiss night blindness and dryness of eyes goodbye. 3) If you are looking for a food/fruit that will help you reduce your cholesterol level faster, then look no further because mango is that fruit. This is as a result of the richness in Vitamin C mango possesses. 4) Mango is a fruit that helps in controlling the heart and blood pressure. 5) Are you in dare need of a radiant and glowing skin? Well then, turn mangoes to your skin scrub...but how you may ask? Applying peeled mangoes to your skin for few minutes then wash it off. This helps in giving you that glowing and radiant skin you desire. 6) Kiss memory loss and inability to concentrate goodbye by eating mangoes. This is possible as a result of the gultamine acid mangoes are blessed with. 7) Are you lacking iron or do you need to eat something rich in iron? Then get started by eating mangoes because mangoes are rich in iron. 8) Did you know that by eating mangoes you are unknowing preventing kidney stones from forming up in your body? 9) Having indigestion? Then start eating mangoes and be prepare to say bye bye to indigestion. The richness of mangoes in fibre makes this possible. 10) Did you know that the regular eating of mangoes, keeps any stomach upset away from you? With all these powerful reasons above, you will agree with me that mangoes is definitely the King of fruits right? Now I hope you consume mangoes more with what you have just learnt.